Winter is Coming – Best get the snow blower out! 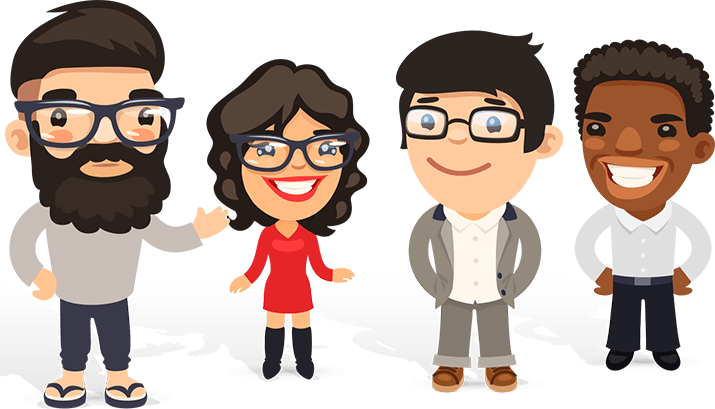 With winter always just around the corner, the kids hoping for piles of snow and drifts as deep as the first storey windows, it falls to us adults to make sure work and the outside world are still accessible. 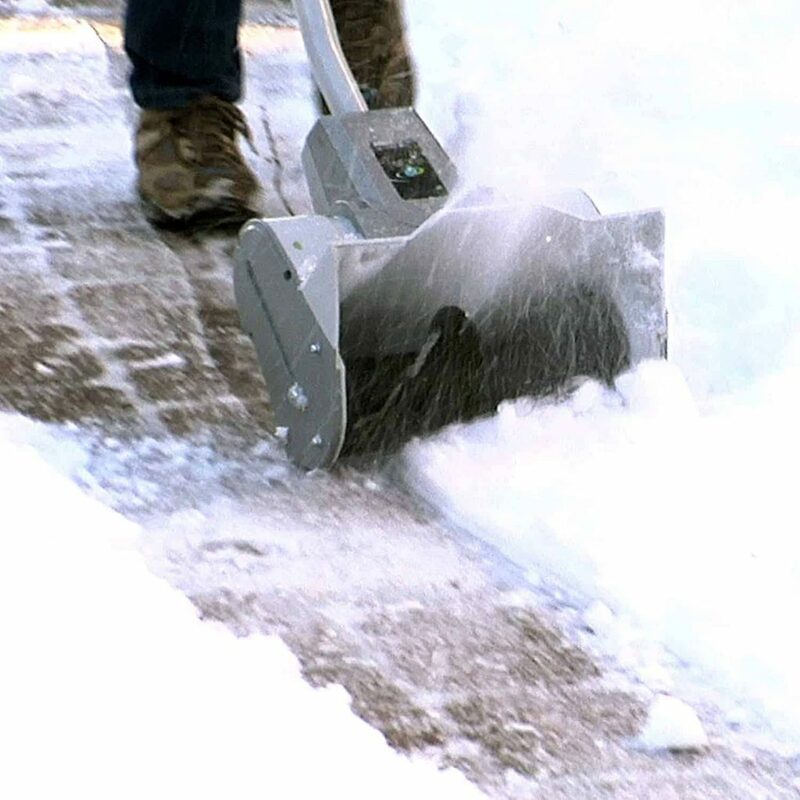 Snow blowers are designed to move snow quickly and efficiently and are a real labor-saving machine. But what do you look for when buying one? 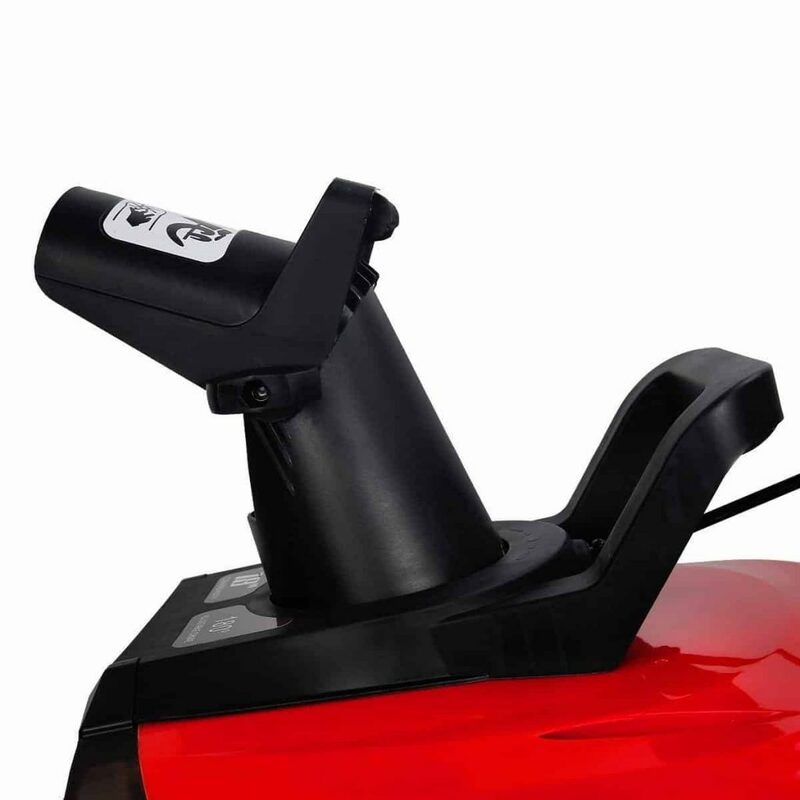 Both types are efficient in light snow of up to 8’’, and are easier to maneuver than the two, or three, stage machines. 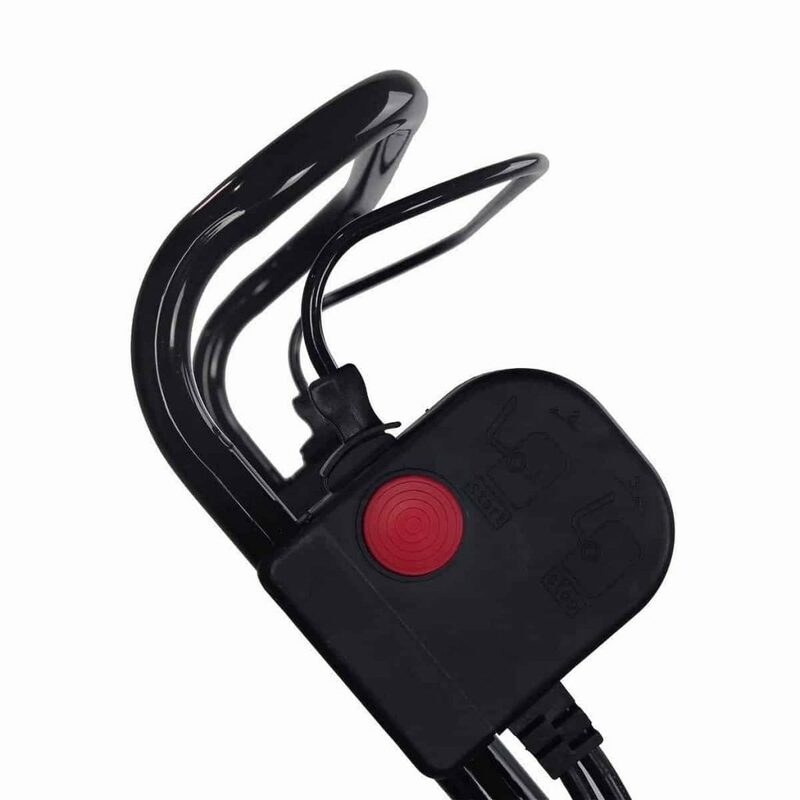 The electric models come in corded and cordless versions, feature push button starts and are very low maintenance. 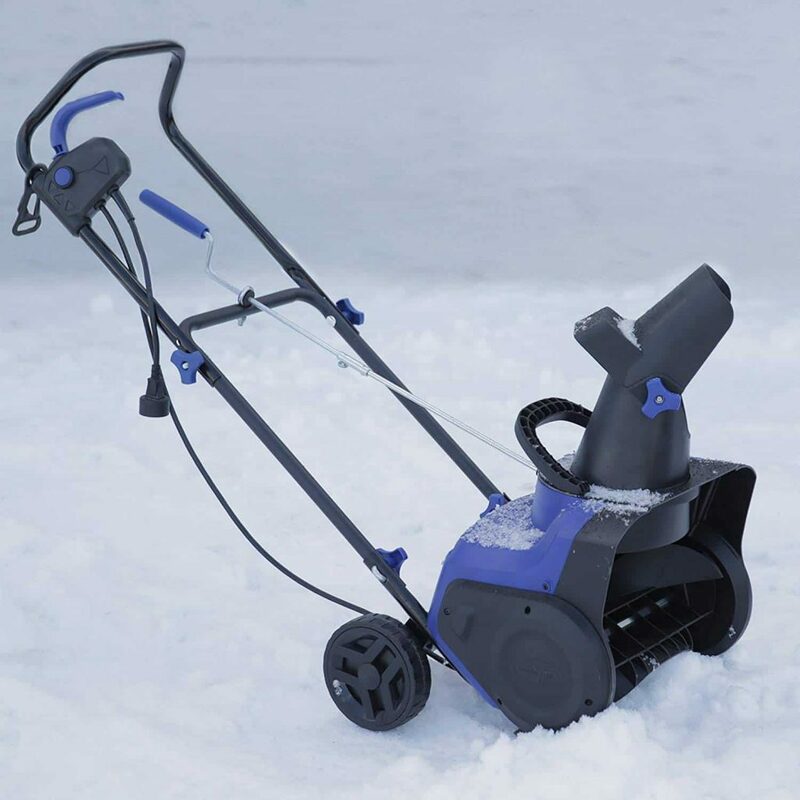 Gas snow blowers typically have greater available clearing widths and intake heights than electric models. Single-stage blowers work best on driveways up to 2 cars wide x 2 cars long, and because of being light in weight, they can be used on decking or steps etc. The snow is thrown out of the way by an auger. 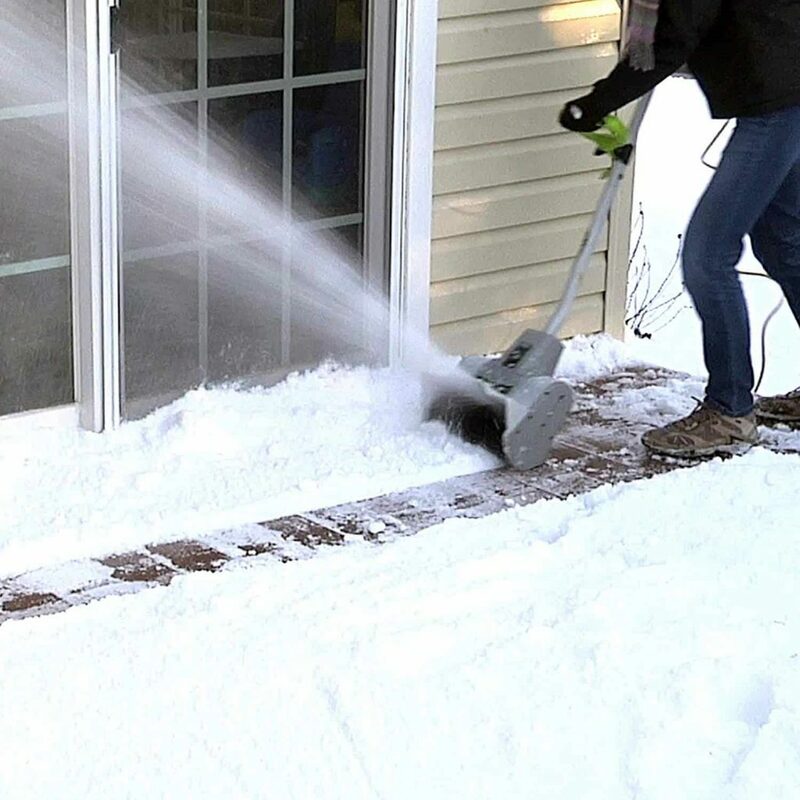 Since the auger is in contact with the ground, you shouldn’t use a single-stage snow thrower on gravel surfaces, unless your goal is to hurl small rocks at your neighbors. This type is capable of clearing snow in excess of 16’’and are best for larger driveways up to 3 cars wide x 3 cars long. 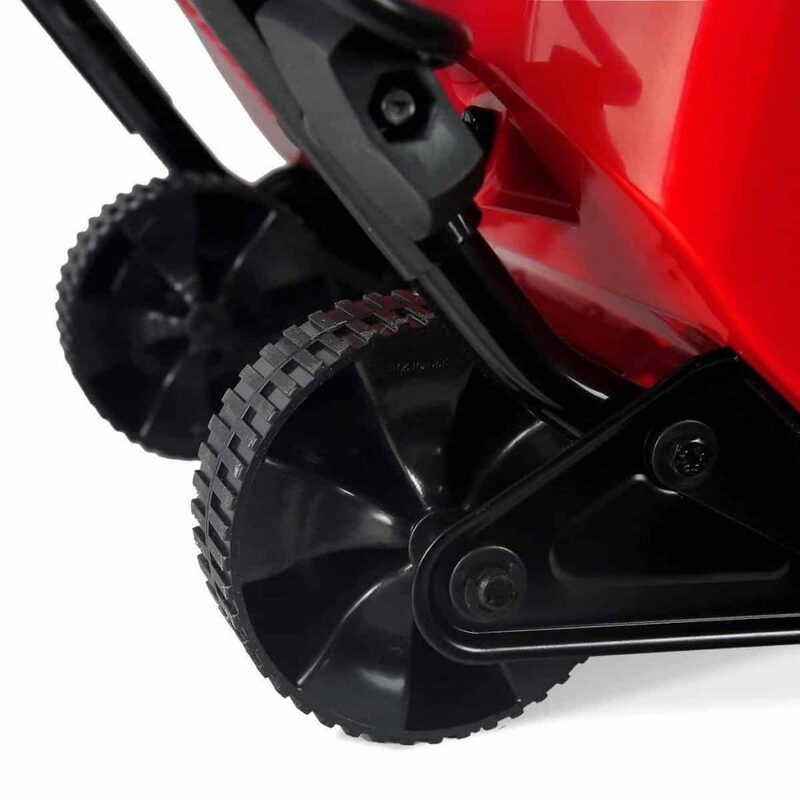 They have engine-driven wheels to cope with varied terrain, speed up the process and lessen your fatigue. The snow is moved in a two-stage action – collected by an auger, and then blown by a fan through a chute. As the auger doesn’t touch the ground, they can be used safely on gravel. 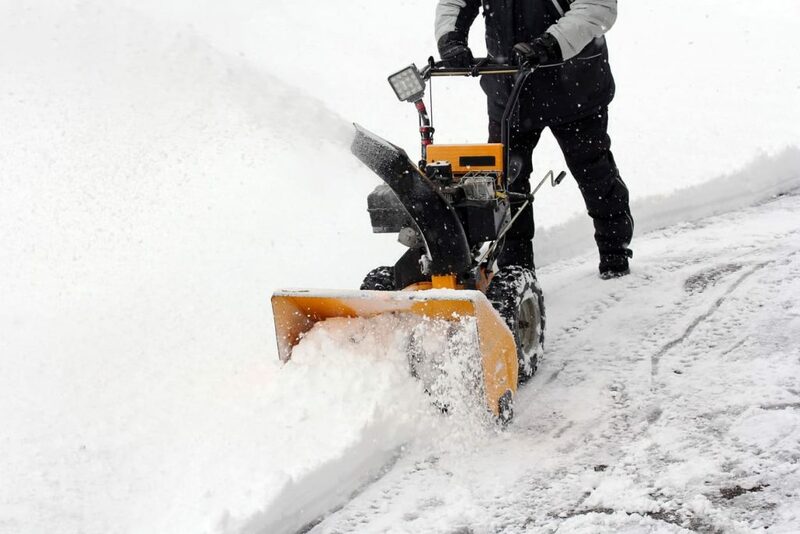 A three-stage machine is similar to the two-stage but features an accelerator and can remove heavy snow almost 50% faster than the same size two-stage machine. 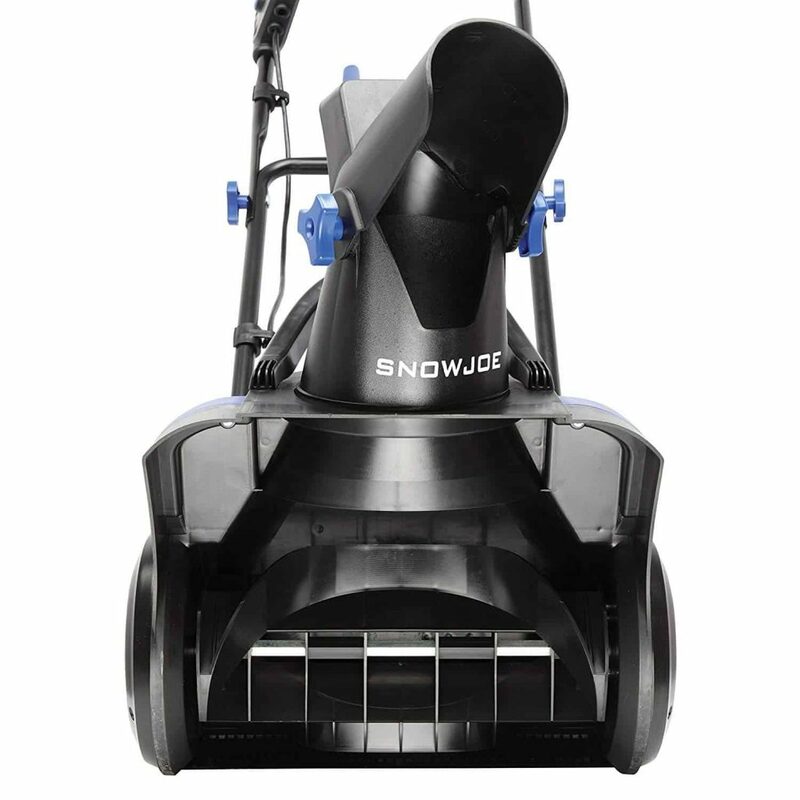 Three-stage snow blowers are designed for heavy snowfall depths up to 18 in. on driveways up to 4 cars wide x 4 cars long. 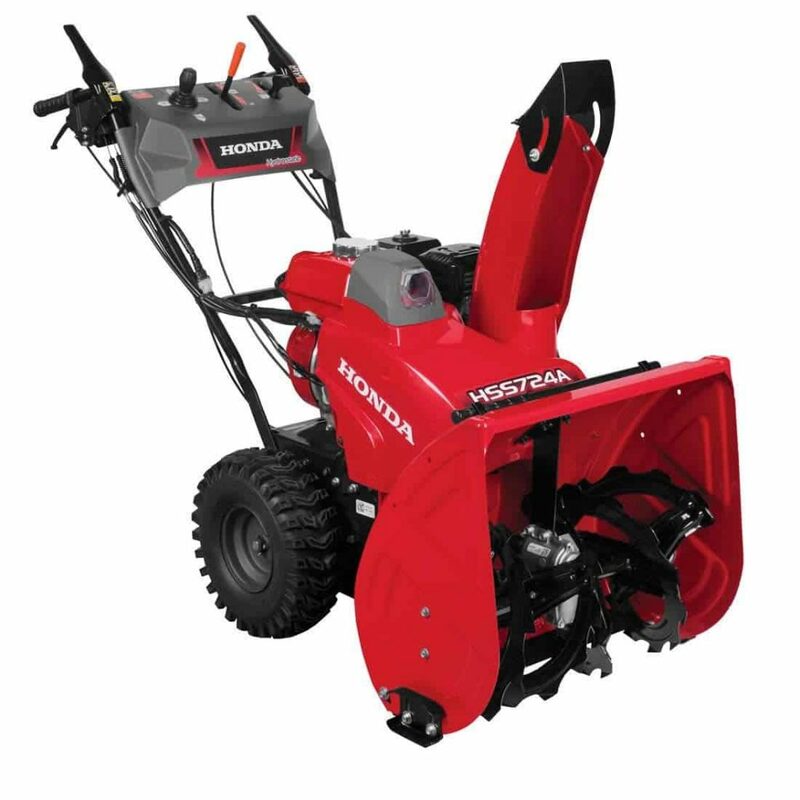 Newer snow blower models can include various added features to make life easier, such as push-button power steering that turns the machine around on a dime, heated handgrips that warm your fingers, airless tires that never go flat, and push button chute rotation. Arriving on time, and very well packaged, this snow blower comes with everything you need to assemble it, including a detailed instruction manual. It feels very rugged and looks the part. We put this together in minutes – one person could do this easily. It’s so quiet to run that we were glad of the headlight, otherwise no one could find us outside in the dark! 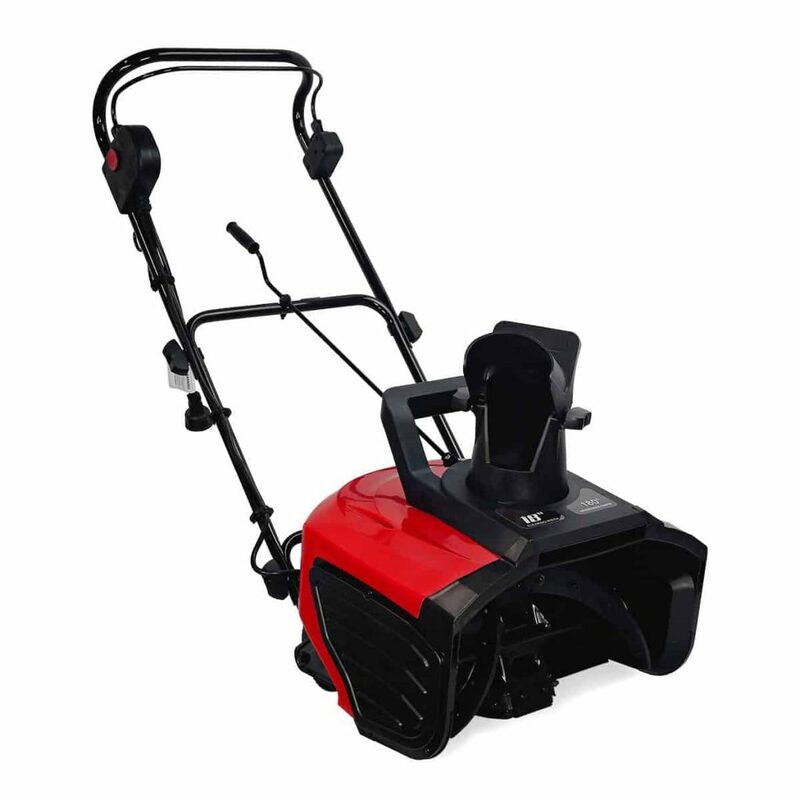 This snow blower is ideal for paved areas such as your driveway or the sidewalk. 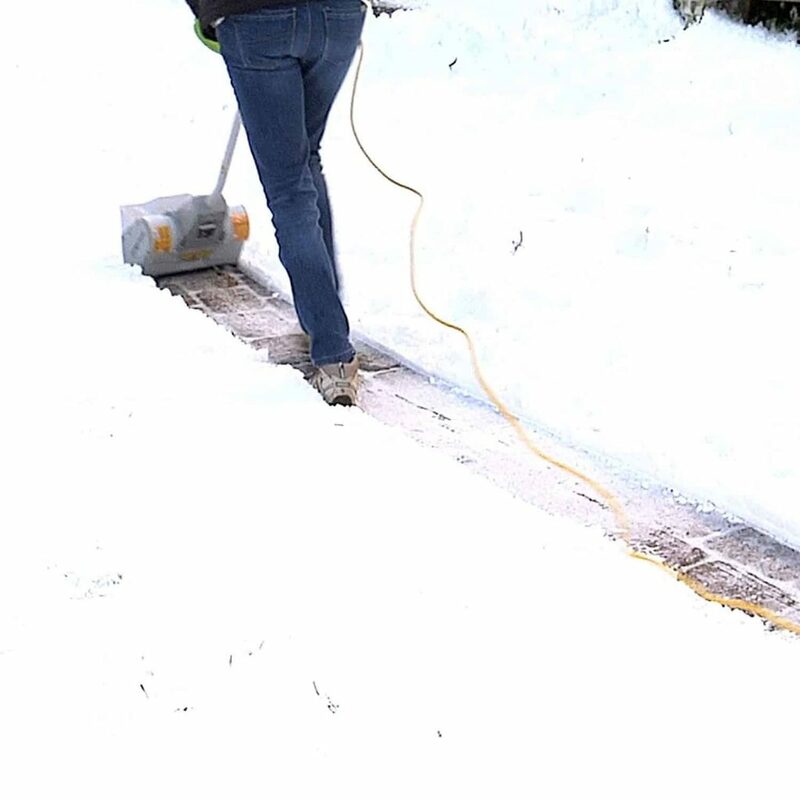 The battery easily lasts the length of an average driveway, clearing it effortlessly, throwing the snow well out of the way, and it coped well with steps and decking. It’s so light to carry that maneuvering the slippery, icy steps was a doddle. 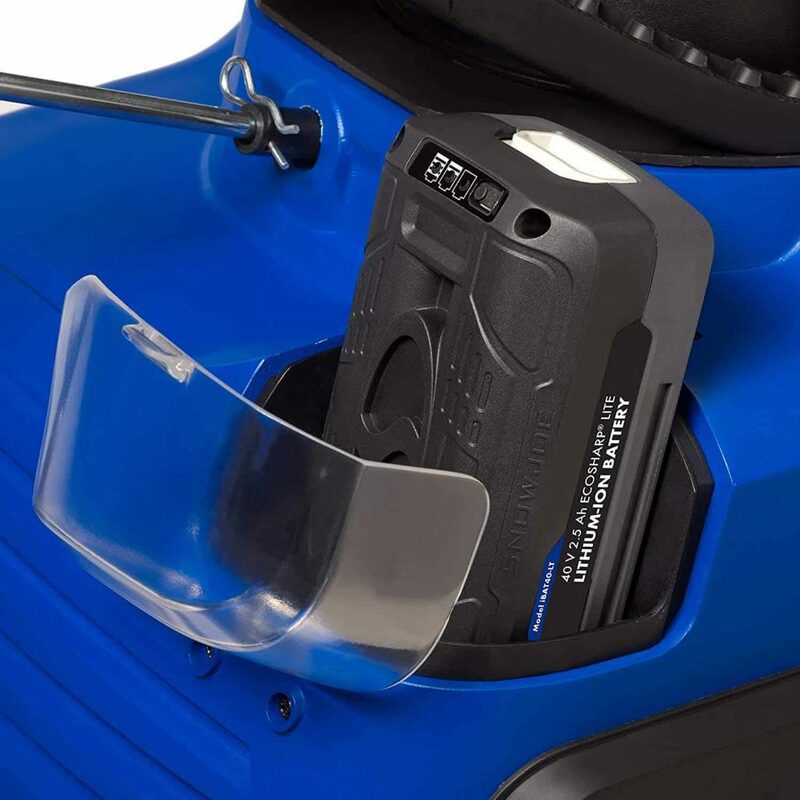 The order contains the snowblower, battery and charger, screws and gaskets (for easy assembly) and instruction manuals. There is a 2-year warranty from manufacturer. The housing for the battery was a little large for the actual machine, so we used a bungee cord to ensure the battery stayed in place – brilliant. This Snow Joe is an awesome machine. It cleared everything we asked it too, effectively and efficiently, with no need to recharge. For once, clearing a snowfall is an almost pleasant experience! 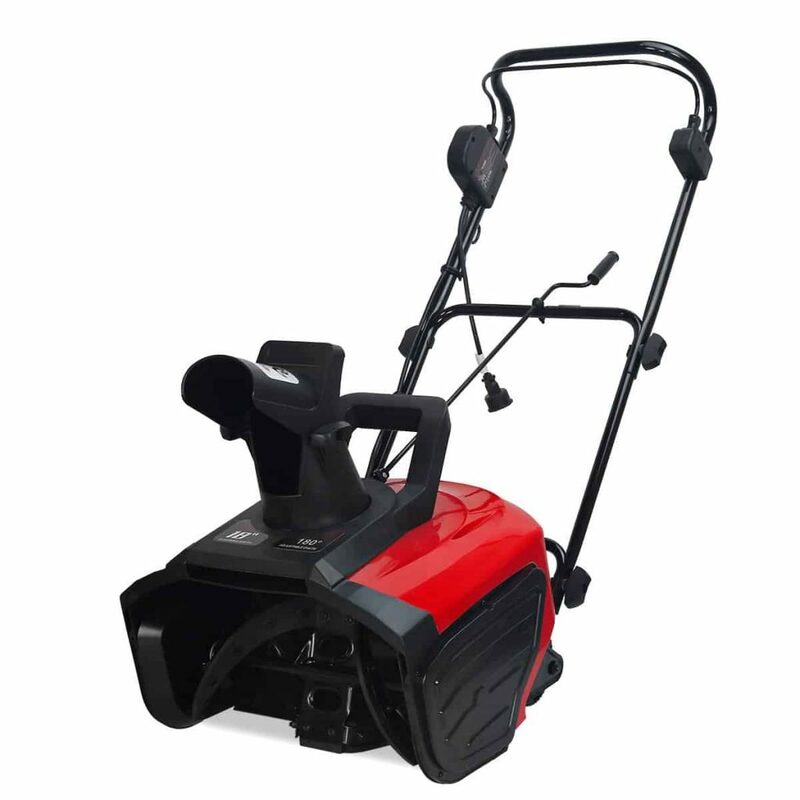 This compact, affordable, electric snow blower feels surprisingly durable – strong enough to cope with most snowy situations. 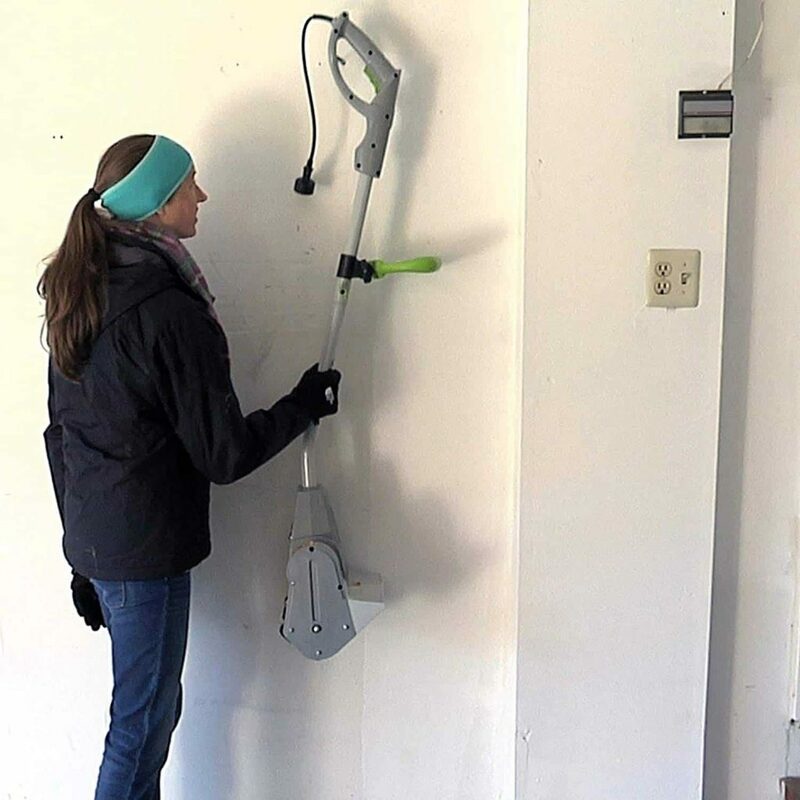 It’s light and easy to move, especially with the added carrying handle. This was quick and easy to assemble, with everything needed included in the box, and within ten minutes we were ready to roll. Our snowy driveway and paths were cleared with no energy expended on our part. This machine chucks the snow completely clear of the path you’re steering through, leaving nothing behind to ice up, even mushy snow was no trouble. The snow blower is super easy to manouevre, even in tough conditions. For our normal sized driveway, it was clear down to the paving within 8 sweeps. 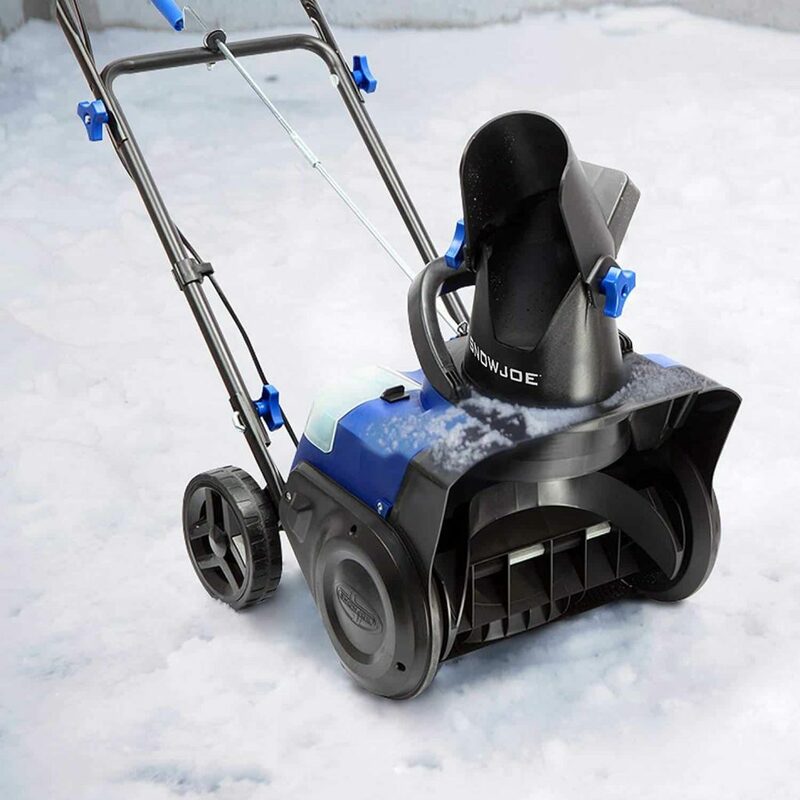 We found nothing hugely wrong with this affordable snowblower, except that in the deepest of snow, you do need to push a little, and if there is a strong wind, because the snow is thrown so high in the air, it can be blown back! 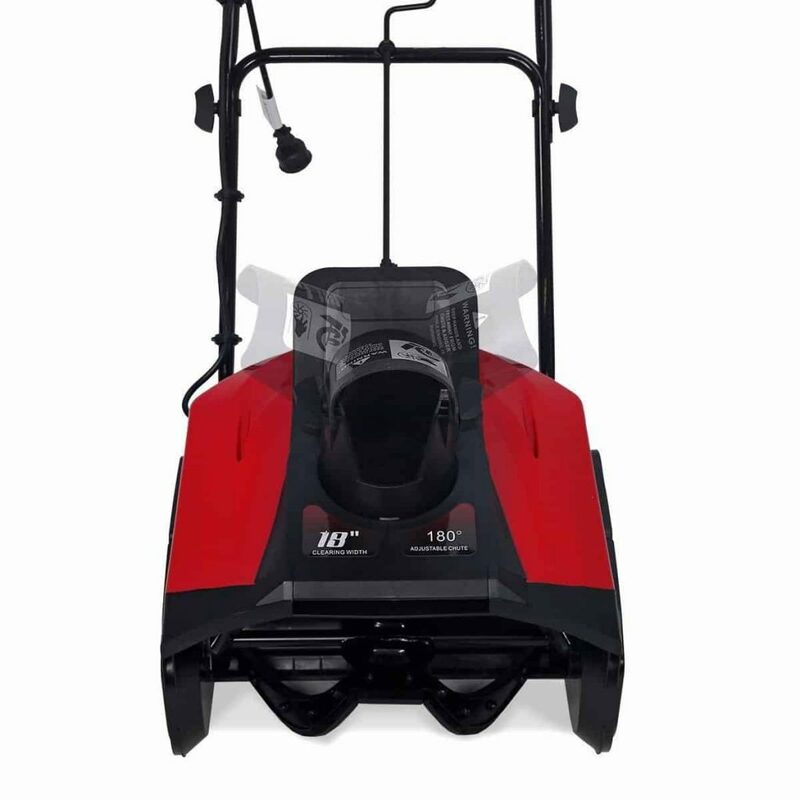 When you need a snow blower, this is a great machine; it does what it’s meant to easily, and saves your legs, back and budget. This beast arrived right on time and is incredibly rugged. There is some minor assembly required, but nothing too technical. Fuel needs to be added, but it shipped out with motor oil included. Starting first time, this blower then proceeded to take charge. It’s self-driven, so we just walked behind it and steered. It cleared our 18’’ snowfall and twice that height in drifts, right down to the paving, without a splutter – just a self-satisfied purr. This is a really powerful machine, well worth the price tag, and actually fun to use. Best not to use the 6th gear – the bruises gained from the resulting speed are still visible. There is nothing not to like about this awesome machine. Happy to recommend all day long! This commercial grade snowblower arrived in a surprisingly compact box. It does need a small amount of assembly, but very easy even for one person to manage. The instructions are excellent and very clear. 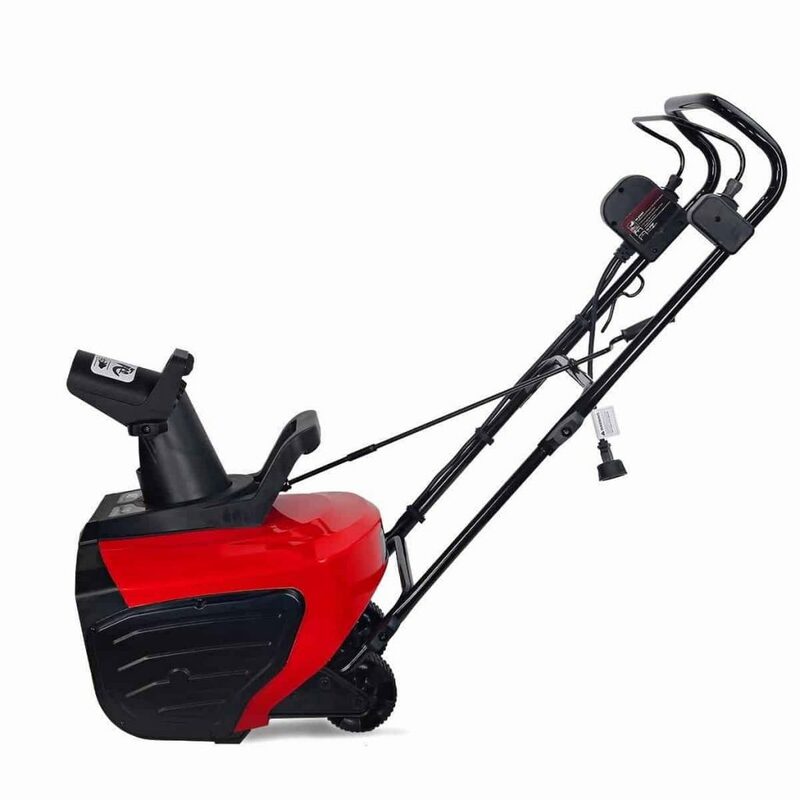 This is a professional grade machine that is perfect for larger driveways, sidewalks, steps and so on. It’s so simple to use, and a great alternative to shovelling, especially if you have aches and pains to deal with. The Honda tackled everything from solidly packed drifts to that horrible wet snow and cleared our 3 car driveway of nearly 8’’ of snow in no time at all. Storage, too, is simple, and it fits in the garage easily. 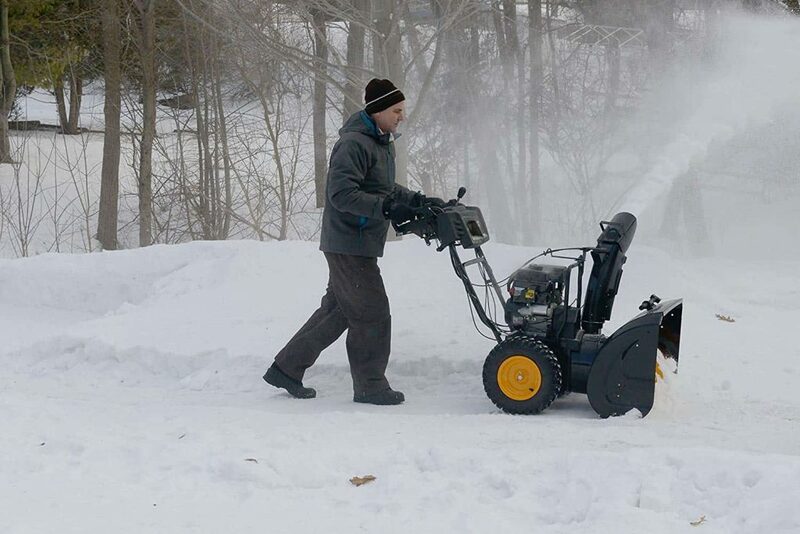 If you need the ultimate snowblower for larger spaces, this is for you. However, if the area you need cleared is smaller, it can be heavy to turn around. 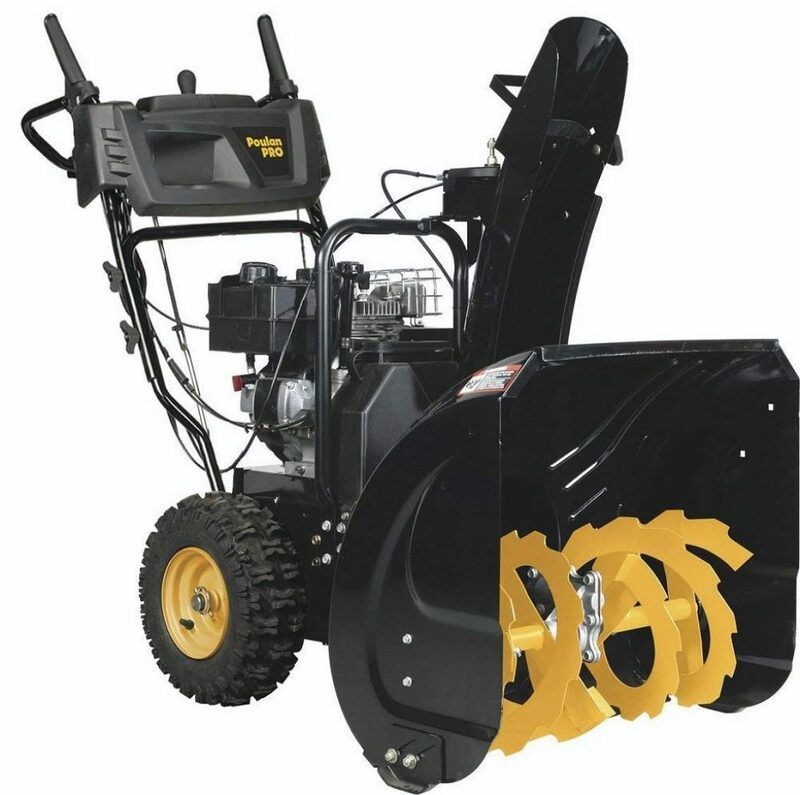 Superb advanced snowblower that can handle even the heaviest snowfall. Ideal for personal or business use. The higher price tag is worth it. Requiring a small amount of assembly using the included parts, this snow blower was up and running within ten minutes. It looks sturdy and well able to chew up the 12’’+ of snow outside. This snow blower took on the challenge of our driveway, and sidewalk and cleared it within two passes, all the way down to the ground. It coped well with the harder areas of packed snow, and although it clogged once with wet snow, it cleared itself within seconds and kept going. 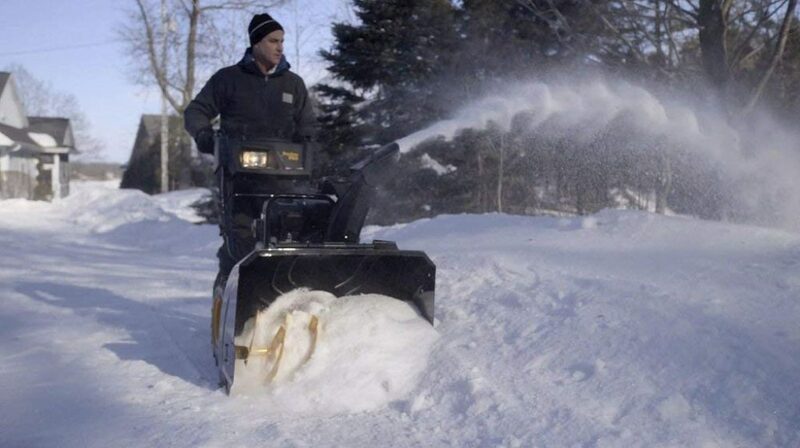 The dual stage snow clearing technology is highly effective and makes this snowblower distinctive. Overall it does an astounding job for a mid-range machine. Whilst easily bearable, it runs a little loud. It’s not a problem until someone tries to talk to you. However, view it as an exercise in peaceful solitude. Just you and your Poulan PRO in perfect harmony. For the price, this is an awesome blower, and you can’t go wrong. 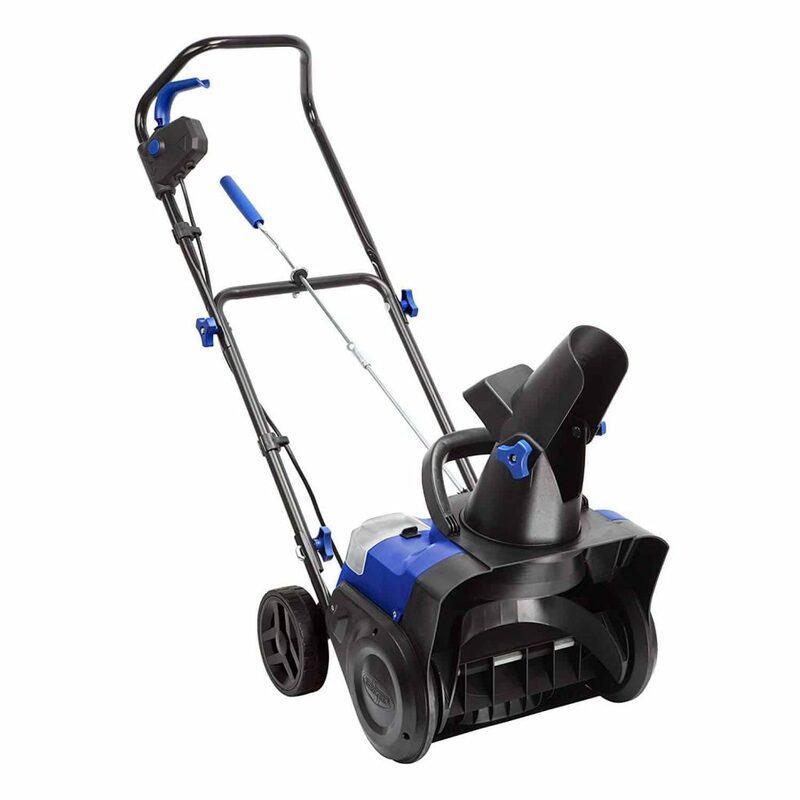 Due to its super performance, we are happy to recommend this mean, snow clearing machine.